Diopside | Gemstones from A-Z at Rocks & Co.
Back Home Gemstone Information Diopside | Gemstones from A-Z at Rocks & Co. The diopside derives its name from the Greek words "di" (for "two" or "double") and "opsis" (look or sight), an allusion to its birefringence or its pleochroism. A common trade name is "Chrome Diopside", since this is not a particularly attractive name for this beautiful gemstone, "Russian Diopside" is now preferred. Other names are "Imperial Diopside", the trade name "Vertelit" and "Serbelit". He was also called "Siberian emerald", which is not only factually wrong, but also misleading; The Russian Diopside is neither an emerald nor a member of the beryl family. Diopside is also known as the "Gem of Tears," probably because of its supposed ability to heal trauma by triggering cleansing tears. 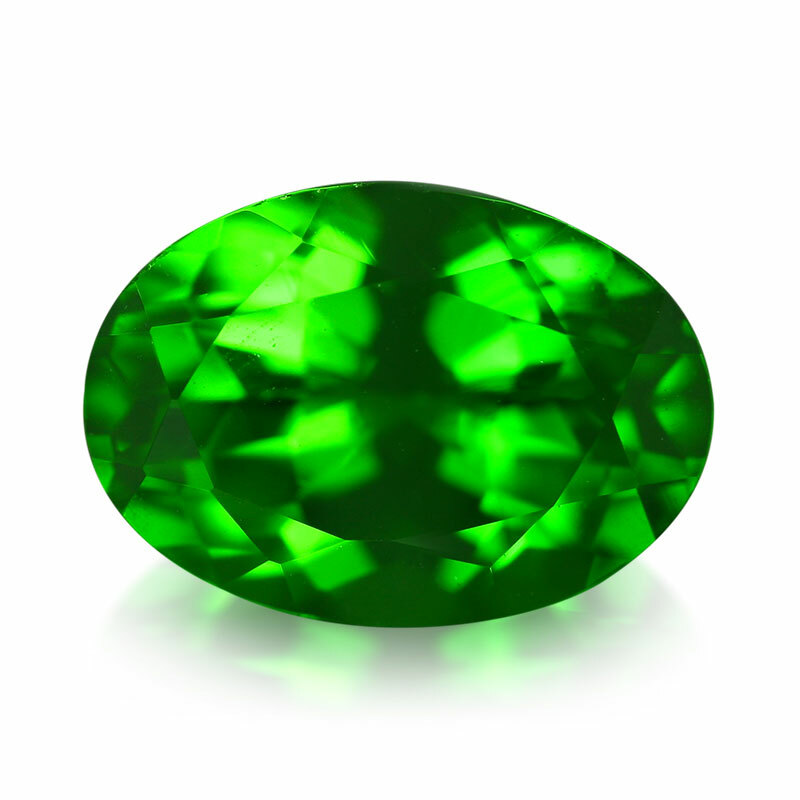 Diopside was already processed in antiquity as a gemstone. Especially the star-diopside, shining through its beautiful star, inspired the imagination of the people. Thus, the Greeks believed that star diopsides were small luminous stars that turned to stone during the fall to Earth. In the starlit of the gem you will find the stars and the sky again. But beyond that, there are only a few historical traditions about the Diopside. Purity standard for the Russian Diopside is "eye purity" (no visible inclusions when viewed at a distance of about 15 cm), but this gem proves that good occurs only in tiny portions. Russian diopsides are small (less than a carat); Specimens over five carats are virtually unavailable. The Russian Diopside is dichroic (bicolour with the colours green and yellow). As a rule, Russian diopsides are offered in numerous forms in brilliant or staircase sanding. Oval and round shapes are the most common; other variants often achieve higher prices. When you have judged colour and purity, make sure you have a good shape and an appealing overall impression when making your final decision. Tashmarin® is the brand name for a bright green chrome diopside from the Tien Shan Mountains (from the "Heavenly Mountains" as the mountain range is popularly called) in the Xinjiang Uyghur Autonomous Region of West China, launched in 2001 by Columbia Gem House has been. Due to its lower chromium content, its colour is less saturated than that of the Russian Diopside. Violan, which is coloured by large amounts of manganese, is a rare bluish violet diopside variety from Saint-Marcel in the Italian Aosta Valley. The native of India star diopside with its four rays is also known as black star diopside due to its black or black-green colour. Star diopsides have two straight beams and two other beams that are not perpendicular to the first pair. 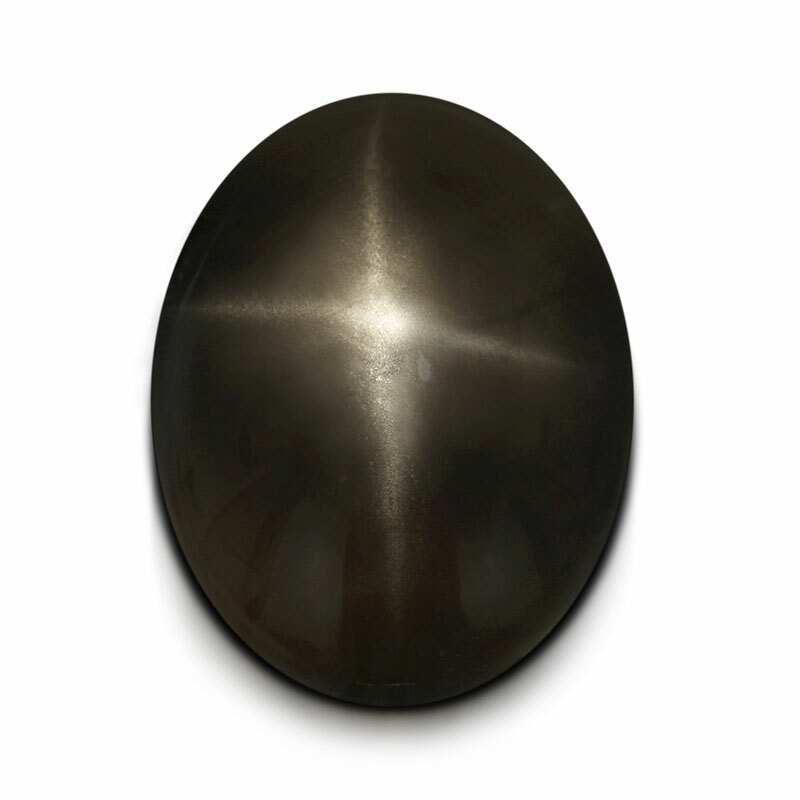 The star effect is only in cabochon cut to advantage of this, so with a curved surface and strong polish without faceting. The best way to see the star effect is with a direct incident, single light beam. 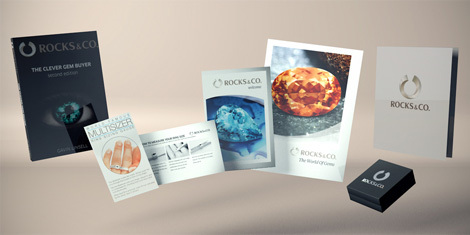 A well-cut gemstone shows a clear star whose rays run straight and at equal intervals. The Russian Diopside is available in beautifully pure, intense green shades, sometimes with a slight bluish cast. 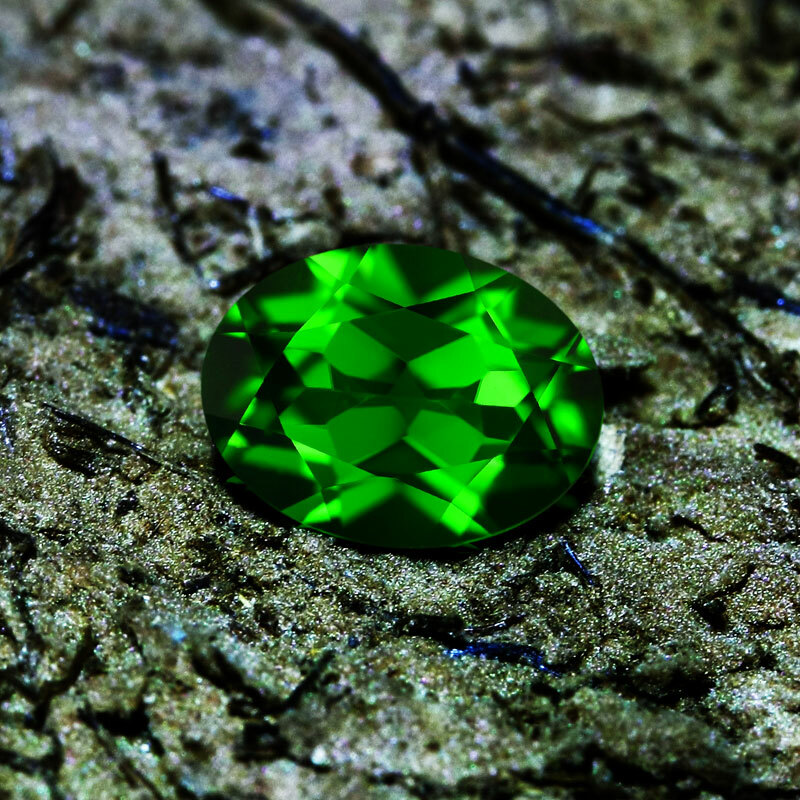 Like the emerald, the Russian Diopside gains a little blue in depth, intensity and warmth. This diopside variety, rare and very interesting at the same time, gets its typical green tones through chrome. Around 1988, the Russian Diopside conquered the market in no time, after European gem dealers raved about a Russian gemstone novelty that had a great colour similarity to the emerald and tsavorite, but was considerably cheaper. After the liberalization of the economy in the former Soviet Union, it is now exported to the same extent as alexandrite, diamond and emerald. 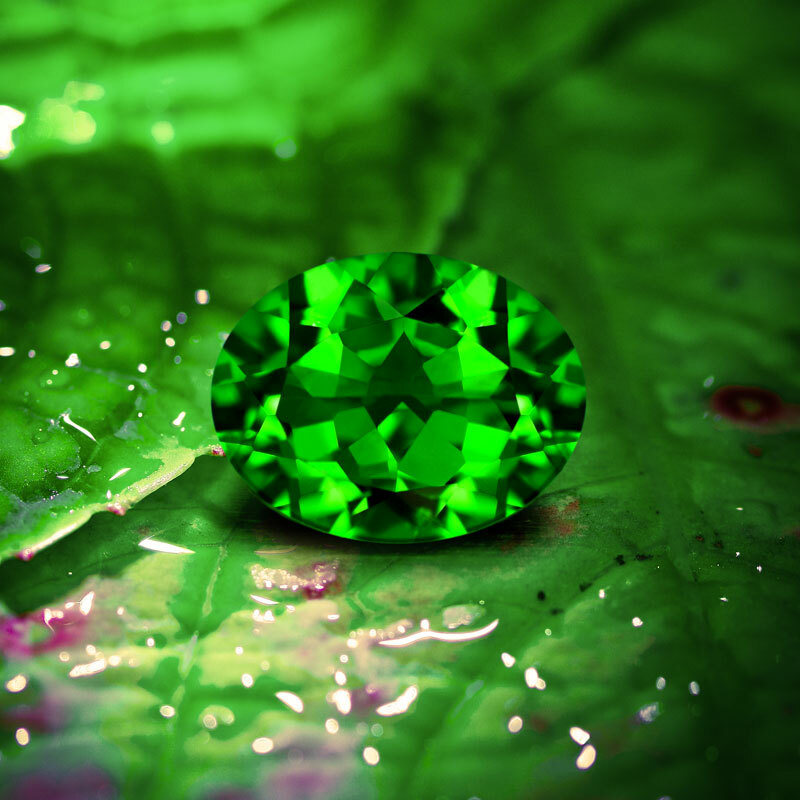 Apart from its beauty, the interesting thing about the Russian Diopside is its origin. He is from Yakutia (Sakha), a remote Russian republic in eastern Siberia. Located far to the north of Asia, Yakutia is notorious for its extreme climatic conditions: the Werchojansk Mountains are even the coldest in the northern hemisphere. In Oimjakon, the temperature dropped to -71.2 ° C in January 1926. Yakutia is also the source of 99 percent of all Russian diamonds, making up a large proportion of world diamond production. This fact is mentioned here, as there is an interesting dependence between the two gemstones: Diopsides are an important mineral in the Earth's mantle, and since they occur in diamond mines, they are considered a reliable indicator of the presence of these gems; sometimes you even find diopsides as inclusions in diamonds. The diopside belongs to the mineral group of silicates, a calcium magnesium silicate with the chemical formula: CaMg (SiO3) 2. 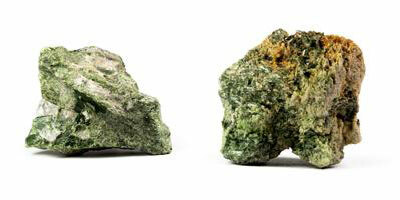 Although the diopside develops very large crystals (up to 50 cm), only a fraction can be used for gemstone utilization. The Mohs hardness settles between 5.5, to 6.5, the line colour is white, the rupture uneven to mussel-like and the gemstone has a perfect cleavage in two directions. Diopside 1800 was described for the first time by the mineralogist José Bonifácio de Andrada e Silva. It is found in Brazil, Burma, Canada, China, Finland, India, Italy, Kenya, Madagascar, Pakistan, Russia, South Africa, Sri Lanka and the USA. The diopside is allochromatic, ie a foreign coloured gemstone, whose typical greens are created either by the presence of chromium or iron. For example, the more yellowish-green tones of African Diopside (which reminds a bit of a peridot) are due to iron. Diopsides are also available in other colours, including blue, brown, gray, purple, white and colourless.